Mom you’re the bee’s knees. The berry on top. One in a Sorbet billion. That’s you. So put your feet up, kick back, relax and let me spoil you! What’s better than a POWER Pedi and Foot Massage for Mom? Having one with her! Yes, that’s right this Mother’s Day it’s all about quality time with Mom. 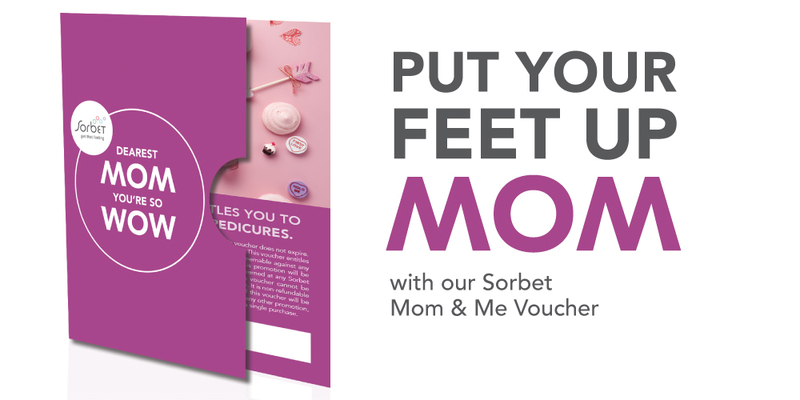 Our Power Pedi Duo Voucher is the perfect treat for a little one-on-one girl time. Plus you get to save R100. The voucher entitles you to 2 x power pedicures for only R430 (save R100).